Ada Wells worked tirelessly to achieve equality and economic independence for women. She is best remembered for her contribution to the women’s suffrage campaign in the 1880s and ’90s, and for becoming the first woman elected to the Christchurch City Council in 1917. Ada Wells (née Pike) was born in England in April 1863 and came to New Zealand with her parents at the age of 10. She was educated at Avonside School from 1874 and Christchurch West School from 1876. Between 1877 and 1881 she was employed at the latter school as a student teacher. In 1881 she won a university junior scholarship and attended Canterbury College, passing the first part of her BA in 1882. She was then briefly employed as an assistant teacher at Christchurch Girls’ High School. In January 1884 she married Harry Wells, an organist, with whom she would have four children. Her husband’s ‘volatile temper and continual drinking’ often saw her forced to financially support the family by taking on teaching positions and private patients for massage and healing. This marital experience has been credited with strengthening her views on the importance of equality and economic independence for women. Wells became active in the women’s suffrage campaign in the 1880s, a period during which ‘the movement was generally condemned and ridiculed’. 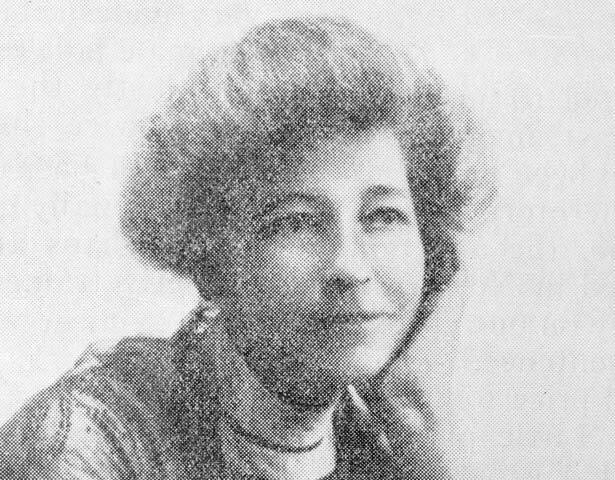 While Kate Sheppard led the campaign, Wells made an invaluable contribution as a ‘fervent, efficient organiser and campaigner’. In 1892 she was involved in the foundation of the Canterbury Women’s Institute (CWI). The CWI spearheaded the suffrage campaign in Canterbury, in a similar manner to the Women’s Franchise Leagues formed in other parts of the country. After women were granted the vote on 19 September 1893, Wells did not retire from public life. The CWI had always been ‘forward looking’, advocating a broader platform of women’s rights beyond suffrage. Wells continued to serve the organisation as president, secretary or committee member until its demise in 1921. She was also involved in the foundation of the NCW on 13 April 1896, and was appointed as its first secretary. In 1899 she won public office, becoming one of the first two women to be elected to the Ashburton and North Canterbury United Charitable Aid Board. She bettered this in 1917 when she was the first woman elected to the Christchurch City Council. By the time of her death in March 1933, Wells was acknowledged as one of New Zealand’s foremost public women. We have 2 events in history, 15 biographies, 5 articles, related to Ada Wells.